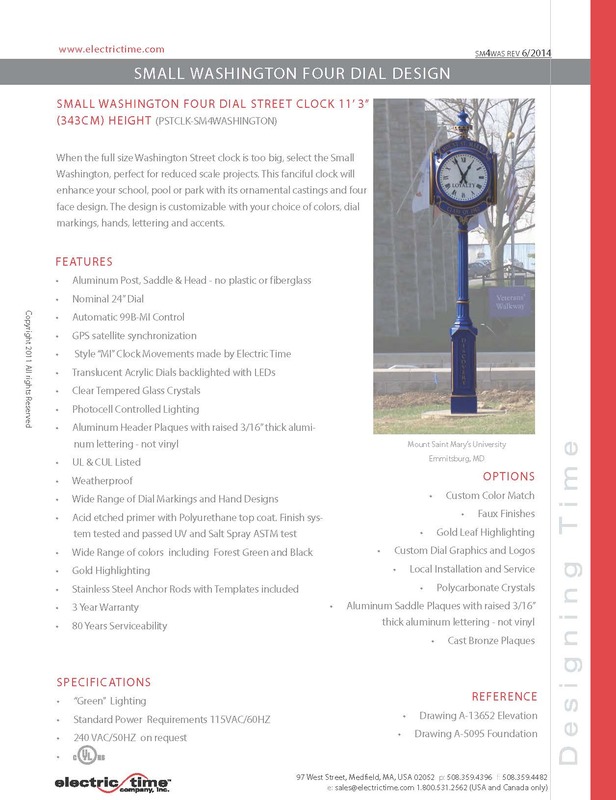 When the full size Washington Street clock is too big, select the Small Washington, perfect for reduced scale projects. 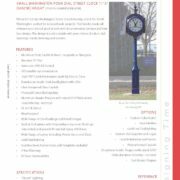 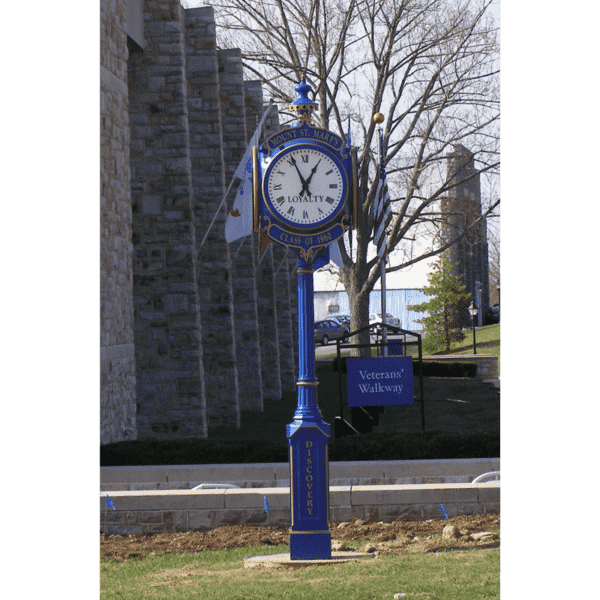 This fanciful clock will enhance your school, pool or park with its ornamental castings and four face design. 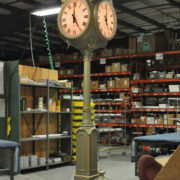 The design is customizable with your choice of colors, dial markings, hands, lettering and accents.